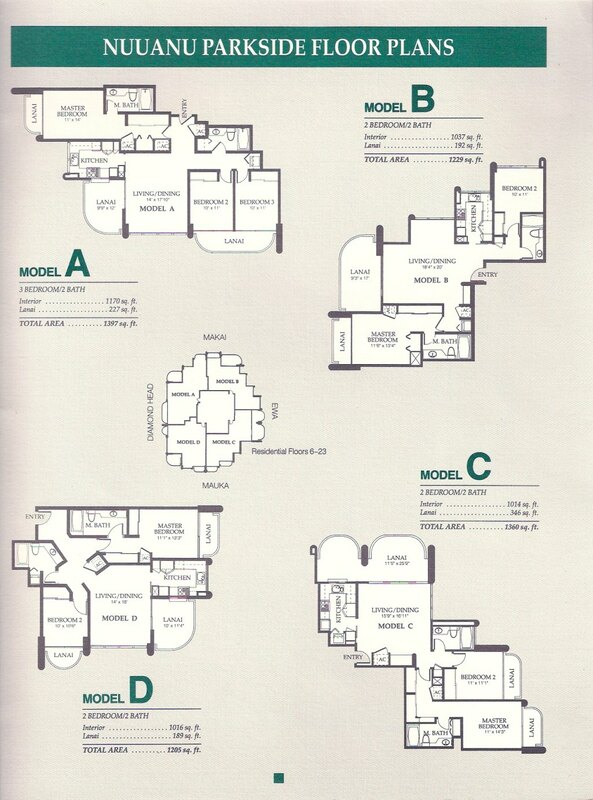 There are 4 basic unit layouts for Nuuanu Parkside (not including the Penthouse units). The condominium consists of 77 units. Penthouses are on the 24th & 25th floors and contains 3 units ea. All units are either a 2 or 3 bedroom, with two baths. Currently, the ratio is about 90% owner-occupancy.